Be it a B2B business or a B2C business, Everybody in today’s time is relying upon exhibitions in order to increase the brand presence in the market and also to increase the brand value. In Dubai you may have seen an increase in number of businesses participating in different trade shows and exhibitions showcasing the various services or products that they have. Having said this letter is also tell you That the world of exhibition is today rapidly changing and that one needs to be at the top of the game in order to be noticed in an exhibition and to make the most out of it. In fact today even one of the most reputable brands have to work hard in order to ensure that customers visit them in an exhibition. The increasing competition also makes it difficult for businesses to grab customer attention or to increase the footfalls of potential buyers to your exhibition stand. So if you are someone who wishes to capitalize and target audience at a trade show or at any other event, we have the right solution for you and that is using different technologies and advance gadgets to grab customer attention. However the kind of technology that you wish to use for your exit mission stand depends upon the type of business you own and the kind of target audience that you want to attract to words your exhibition stand. Many exhibition stand companies in Dubai will suggest you to invest in digital technologies. The digital industry has today given as many such technological advancements that can help in improving your brand presence in an exhibition. Video walls, kiosks, way finding kiosks, LED screens, digital signage are some of them. Let us also tell you how these technologies will create a positive impact for you in an exhibition or a trade show. Read below to know more. It Attracts And Astonishes Your Potential Audience. Using the latest technology for your exhibition stand will help you attract an astonishing potential audience. It helps in creating good buzz about your stand and makes sure that your stand creates a very positive and a long lasting impression on the audiences. Not only this, technology today can be very helpful in collecting crucial data and creating a strong database for your Business. You can make use of interactive walls which will help you connect with your customers in a very unique manner. Check out some of the best Expo stand builders in Dubai here. Did you know that you can make use of digital technologies to provide your Potential customers with a much better experience? You can use technology For lead generation and also for better communication both during and after an exhibition or trade show. Technology today can also be very helpful in tracking the actual success rate of your presence in any exhibition or at a trade show. You can also measure engagement and other Analytics to measure your return on investment in an exhibition. If you are looking for the best Outdoor Advertising in dubai, then Brandme is the one-stop solution. We are amongst the leading signage companies in dubai carrying a vast experience in the niche. Your need the best services for Signage Dubai or you want expert Exhibition stand makers, or there is a need of state-of-the-art digital printing services in dubai; we assure that you get services that are miles ahead of the competition. 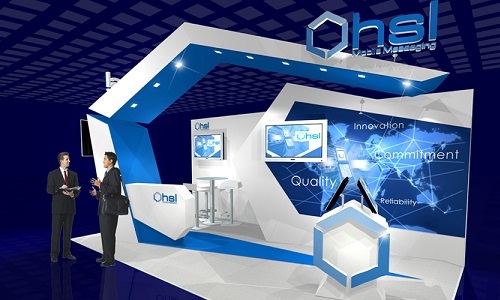 Being one of the leading exhibition stand design companies dubai, we know the crux of the business. We are award-winning Exhibition stand builders who can stand out your company distinctly in the exhibition. When our clients need an exhibition stand company in dubai, or they have the requirement of excellent printing companies in dubai, we are there to serve. Unmatched creativity and innovation make us a preferred choice. Services rendered by us so far prove that we are unprecedented digital printing companies in dubai and the best Exhibition stand companies in Dubai.